The North Face Mountain Windshield Jacket In Lapis Blue, A lightweight jacket which provides superior protection against the wind with a durable water repellent finish. A panel design down the long sleeves and the front at the sides in grey. Full front zip opening and a large hood with light grey elasticated drawstrings. 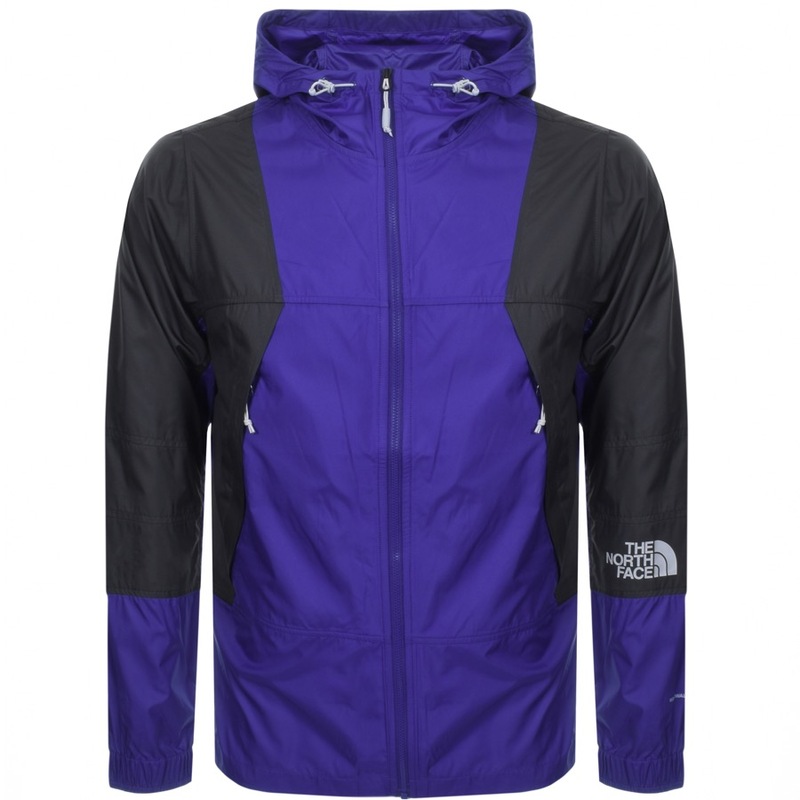 Elasticated cuffs on the long sleeves with two concealed slanted zip entry pockets on the front of the jacket and the signature The North Face logo is printed on the left sleeve in light grey and the signature The North Face logo printed on the reverse of the right shoulder in light grey. 100% Polyester. Brand New The North Face Jackets, Coats And Outerwear Live Online.